I invite you to read this wonderful success story submitted by Kelly, Gertie’s hooman! 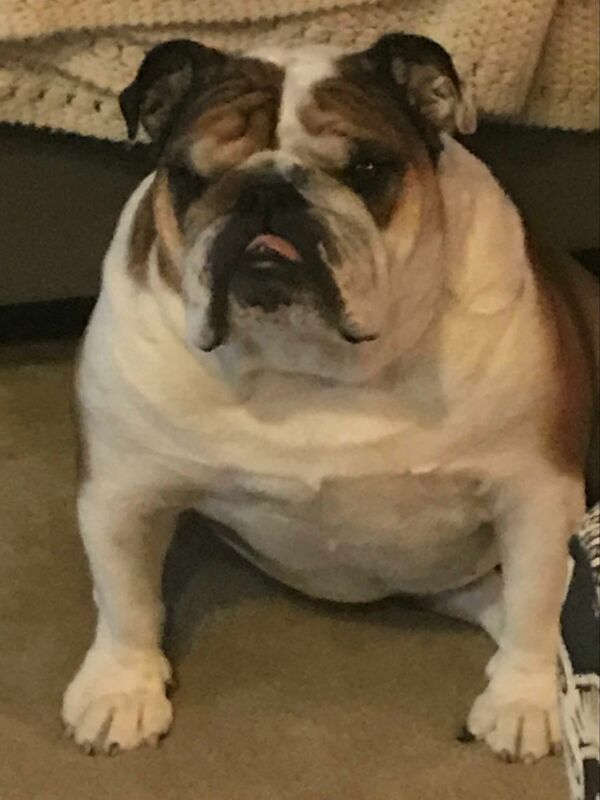 “I decided to feed my English Bulldog, Gertie, a ketogenic diet because I was noticing that with her other food (a raw coated kibble) she shed a lot. She was shedding at least twice a day, and I was wiping her nose crease out loaded with goop. She constantly brushed against furniture after she ate; she licked her paws all the time, and she started getting weird splotches in a couple of areas on her coat. Crusty spots! I started fearing the worst and knew I had to get her on a better diet. I wasn't going to let her go through and suffer as my other dog did, and the raw coated kibble mixed with raw food wasn't cheap. Last year I had to put my other English Bulldog, Otis, down because he got Mersa. The Vet concluded that because of the possible food allergies and the raw condition of the area between his toes (he kept getting a cyst between one of them) he contracted an infection. That poor dog suffered for months until we had no choice but to put him down. My son and I were heartbroken. Otis was only eight years old. I am so thrilled to report that Gertie is doing spectacularly on the keto diet. Her coat is a deep brown and, she isn't shedding like crazy. Her nose crease stays clean, (which blows my mind), and she looks much more healthy. She eats once a day - although she’d eat more if I let her. My Moms dog, Kooper, is also on the keto diet and we noticed how pretty his coat is looking - the color of it, which is a gunmetal gray, is deep and rich. Unreal! "Thank you Mom. You are my hero!" Ketogenic Dog Food That Gives Back. Valiant Pet is dedicated to helping doggos lead healthier lives, and we proudly support organizations with similar missions. Valiant Pet is honored to support KetoPet, by both, donating a percentage of sales and also donating our keto dog food to feed the KetoPet dogs.